FirstBank In partnership with British Council announces Lagos Theatre Festival which is scheduled to take place over six days from February 23rd – 28th. 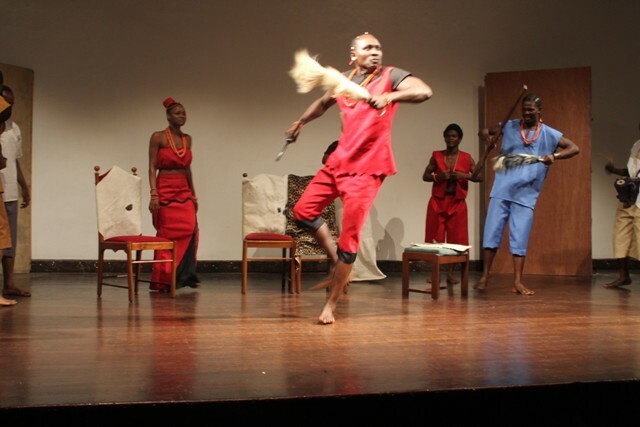 Lagos Theatre Festival was launched in 2012, in other to create professional exchange opportunities between the Nigerian and British theatre makers, stimulating innovation in theatre practice and changing the face of performing arts in Nigeria. 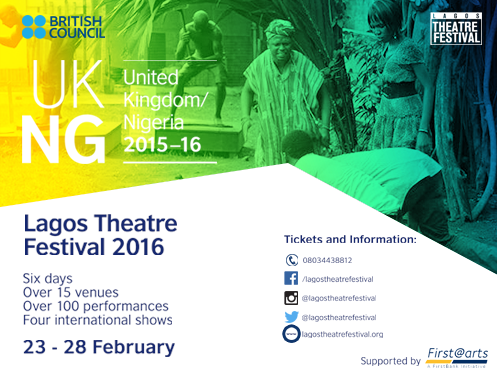 In preparation for the UK/Nigeria 2016-16 season of Arts, the British council in its desire to engage new voices in theatre, called for the submission of scripts from emerging playwrights. The themes of the scripts were drawn from experiences of young people living in Lagos today. A record number of 64 applications were received over a four week period and four plays were shortlisted by a panel of writers for a creative writing workshop and script development. The plays are: Every Single Day by Olubunmi Familoni, The Wait by Bode Asiyanbi, Barcode Dialogue by Atinuke Aweda and Dialing Loveby Paul Ugbede. The winning playwrights have been awarded a cash prize of N100,000 each and will have their plays produced at the Lagos Theatre Festival 2016.